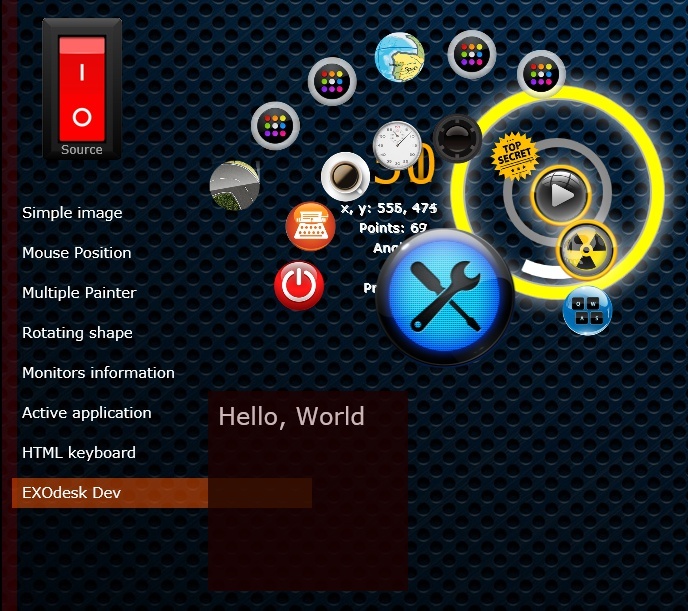 EXOdesk UI Developer Preview is aimed to help developers to create and test applications for the EXOdesk. Later this month, the publication tool will be made available to allow the participants of the EXOdesk Development Challenge to submit their applications. EXOdesk UI is built on the HTML5 apps runtime EXOengine. 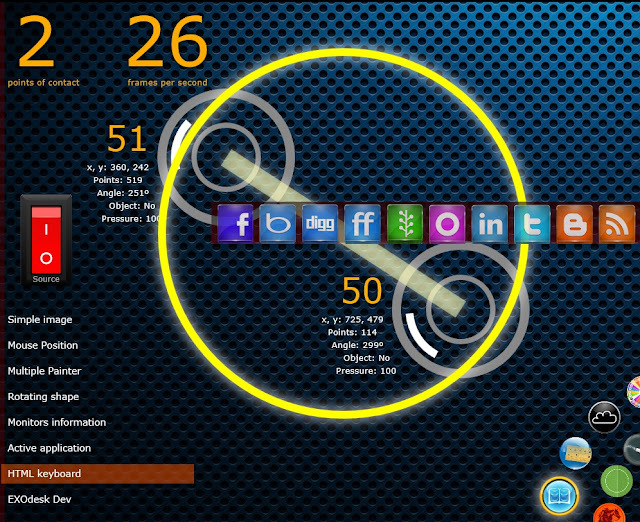 An application can be built either with HTML tags or with HTML5 canvas. In all situations, hardware acceleration is enabled. 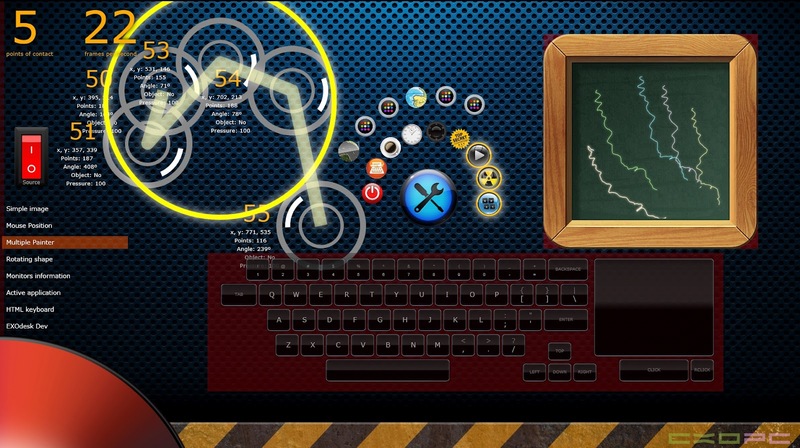 The debug mode shows the collision color map for each application and some of the metrics provided for up to 256 point of touch: pressure, angles, distances. Independent access to pressure, speed and angle of movement for up to 256 simultaneous points of touch, enabling advanced behaviors and collaborative applications. 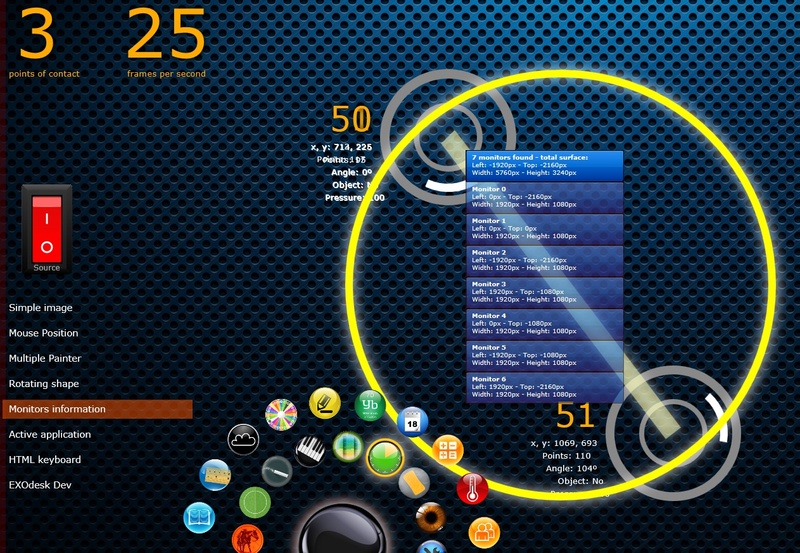 enabling contextual customization of the application behavior. Instant testing: Edit the HTML5 code source and resource files of your application, then click on EXOdesk Dev to test it. exo.collisionMap provides functions to manipulate the appearance or your application in the collision map, used to detect when the user or an object touch the application. exo.touch provides an access to up to 256 points of touch with pressure sensitive (depending on hardware). 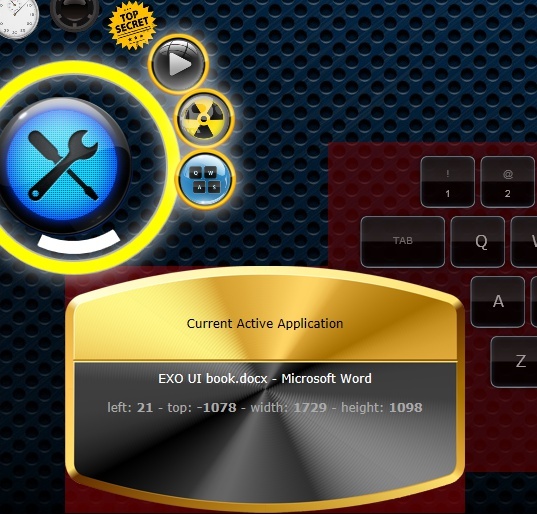 In this folder, you can edit the file exomain.htm. 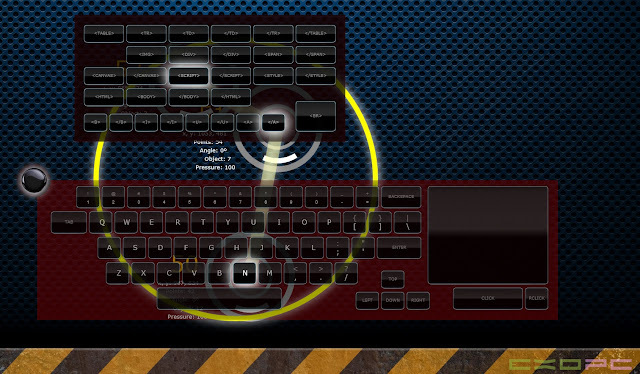 You will find examples of code from the EXOdesk: open the debug mode, then select an example and press the red switch button. When your application is ready, just click on the application name "EXOdesk Dev" on the EXOdesk debug mode to run it. The application will be reloaded each time you will click on the application name.